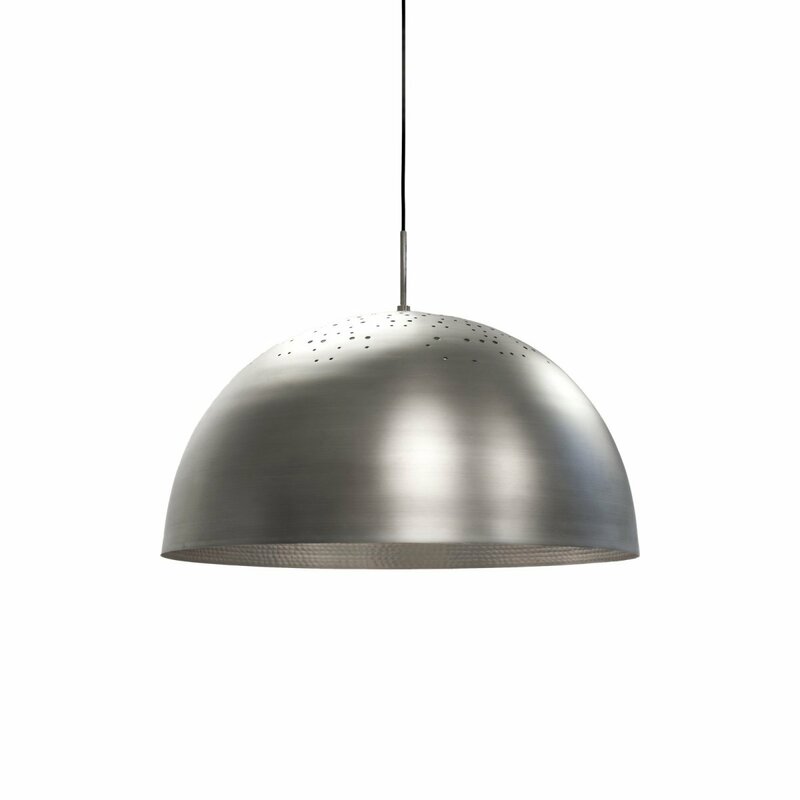 Shade Light Pendant is a metal pendant lamp with simple beauty, designed by Space Copenhagen for Mater. The ornamented structure on the inside is hand hammered and the upper lace pattern creates a warm and beautiful glow around a room. 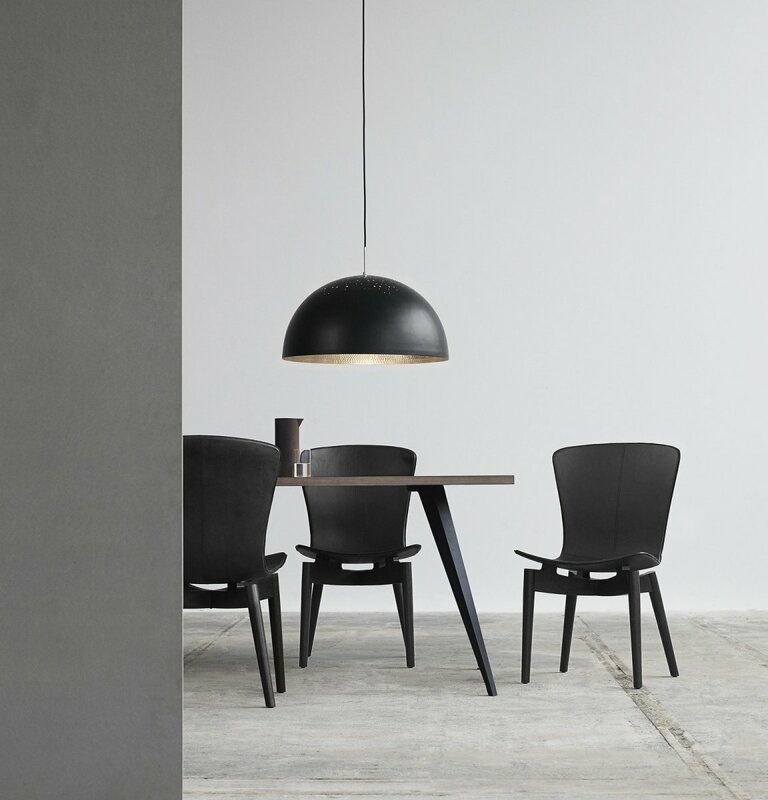 The soothing form makes it timeless and versatile. 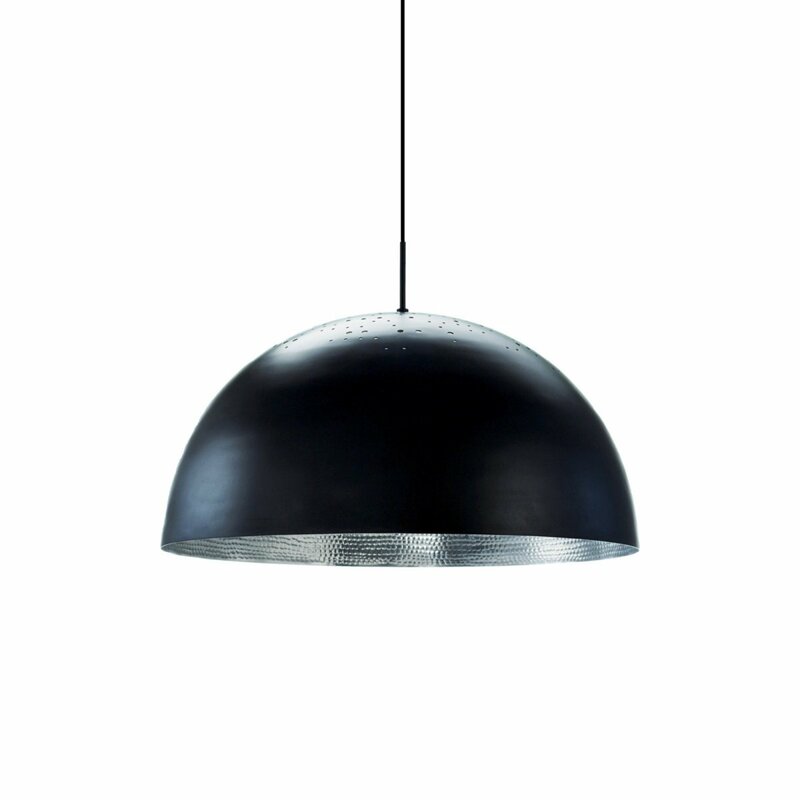 Shade Light is hand crafted in a small Indian workshop and comes in two different sizes and finishes.